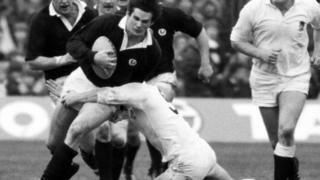 Former British Lion and Scotland international John Beattie examines whether his rugby playing days may have caused long-term damage to his brain. I'm deep in the bowels of the new super-hospital in the south of Glasgow - the one not entirely reassuringly dubbed the Death Star by the city's residents - and things have taken a strange turn. Consultant neuropathologist Willie Stewart is showing me a fridge full of brain samples. So it's not your average start to the day. But there's an added layer of oddness. I know that one day - hopefully not too soon - my brain will be in this freezer too. 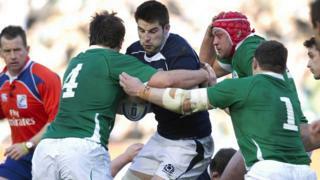 It will be used to help research into whether playing contact sports like rugby can result in long-term brain damage. I can only remember two or three concussions from my career. I was never knocked out. But I've always wondered what the sport might have done to my brain. I've spent the past few months finding out while making a documentary on the subject, and some of the answers are fairly frightening. In the course of my investigations, I travelled to Boston to meet brain scientist Prof Ann McKee. 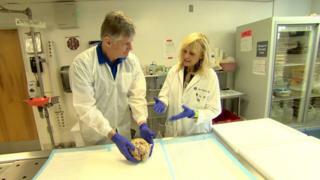 She explained how scientists there have examined the brains of former American footballers and found a new kind of dementia, called Chronic Traumatic Encephalopathy (CTE). They believe CTE causes symptoms such as personality change, mood swings and memory loss, and is linked to repetitive head knocks on the pitch. Despite being at pains not to make decisions for others, Prof McKee nevertheless gives me a stark assessment of the risks associated with my sport. "I would not want a son of mine playing rugby," she says. "I think there's good evidence that it's a high-risk sport and I'd want to avoid that but I do think we just need to allow everyone to make their own informed decision." Her comments are significant to me personally, given that my son Johnnie has followed in my footsteps - rugby's a big part of his life too. Prof McKee can't tell me whether I have CTE, only a post-mortem examination can determine that. However, she is sure some rugby players will get the illness. Concerns over concussion have been widely debated in the United States. American Football now says it is seeing a reduction in the injury after changing more than 40 rules to reduce the risks. At home, concussions in rugby are on the rise. World Rugby and RFU figures show they have doubled in the past five years. Those bodies say they believe that is because of the work they have done to increase awareness of the injury and improve assessment during matches. My old Lions team-mate and friend Bill Beaumont, who is now RFU chairman, is clear that the benefits of playing the sport need to be kept in mind too. Beaumont says: "Do the benefits of the game outweigh the chances of you getting a serious sort of illness? Like in all things in life, there has to be a balance." I worry whether concerns over the injury might deter people from playing the sport, something I think would be a tragedy. Those concerns are shared by Willie Stewart, himself an ex-rugby player. I ask him whether he thinks people might end up thinking you'd be mad to play rugby. "I'm already hearing that," Stewart says. "I'm already hearing people saying I wouldn't let my kids play rugby. "I try to argue against that wherever I can because I think rugby's fantastic." One day Willie's work - and my brain - will help answer whether rugby is bad for your brain. I hope the answers come quickly enough for our sport to make itself as safe as it possibly can. 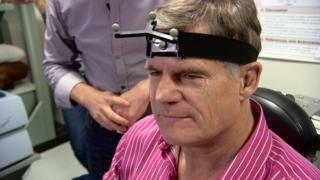 Panorama: Rugby and the Brain - Tackling the Truth - was broadcast on BBC One on Monday 21 September, at 20:30, and afterwards on the BBC iPlayer.